Lexham Press shipped seven new books this week! They’re all currently available digitally, and most will be available in print in early 2015. For the first time ever, Geerhardus Vos’ Reformed Dogmatics will be available in English. We’ve finished the first three volumes—Theology Proper, Anthropology, and Christology—and they’re now available digitally and in print so you can benefit from this groundbreaking translation project. The final two volumes are scheduled to be finished by July, 2016. The first two volumes of the Transformative Word series are finished and available digitally. The first volume, When You Want to Yell at God, helps us see the book of Job with fresh eyes. 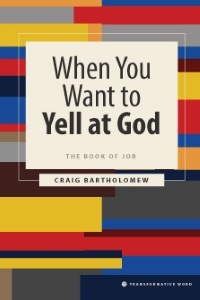 Looking at Job as the height of biblical poetry, Craig Bartholomew shows us just how beautiful this man’s struggle with God really is. 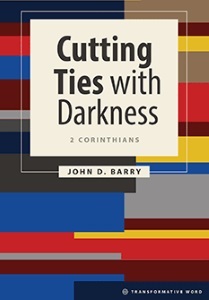 The second volume, Cutting Ties with Darkness, examines the painful relationship between the Apostle Paul and the church in Corinth. How can we deal with the scars we’ve picked up from our own relationships in light of Jesus’ example? The Transformative Word series is written by a global cast of church leaders to help you reflect on how the Bible can transform your life. A conversational tone and thought-provoking questions guide you through each biblical book. Print editions of these two books will be available in early 2015. Lexham Press has two additional stand-alone books that shipped this week, The Lion of Princeton: B.B. Warfield as Apologist and Theologian and Confronted by Grace: Meditations of a Theologian. 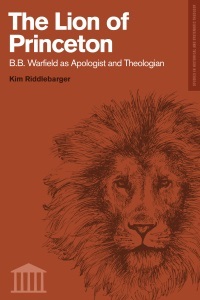 In The Lion of Princeton, Kim Riddlebarger examines B.B. Warfield’s theological, apologetical, and polemical writings, bringing clarity to the confusion that surrounds one of the most significant American theologians. Riddlebarger provides a biographical overview of Warfield’s life and traces the growing appreciation for Warfield’s thought by contemporary Reformed thinkers. 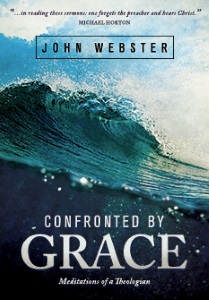 Confronted by Grace is a collection of beautifully and thoughtfully written sermons from John Webster, one of the leading contemporary theologians. These reflections, born from years of theological and biblical study, demonstrate the complexity of the realities we face in the Christian life and the depth of the grace of God. Thoroughly accessible, Webster points us toward Christ so that we may grow in our understanding of the truth of the gospel. These two books are available digitally and will be available in print in early 2015.